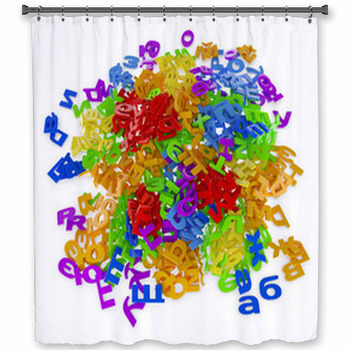 Celebrate communication with our custom alphabet bath decor--great for kids or for anyone who loves language. From alphabet images in newspaper and magazine style to alphabets in varying fonts and colors from red to lime green, you can design a beautiful bathroom with the time it takes to get from A to Z. Here at VisionBedding, we don't just have all 26 letters, we also have those letters in designs from toy blocks to falling letters to stacked stamps. Go all the way to the end of the alphabet, or start at the beginning. 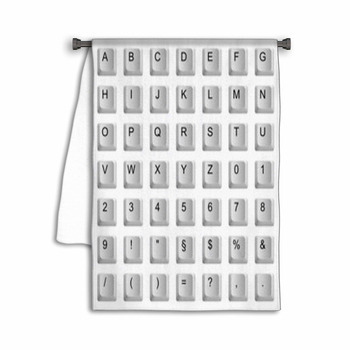 Your favorite letters are here, and you can have fun every morning in the bathroom as you create words with a potpourri of letters on your bathmat. And if our designs aren't exactly what you are looking for, then why not try making your own custom design? 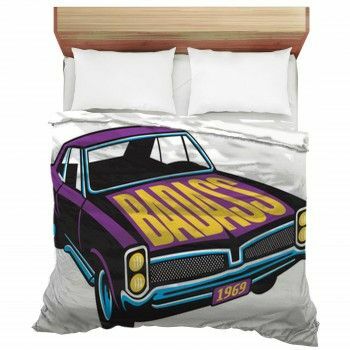 Add any image or word to our predesigned decor, or remove our images completely and go with your own. 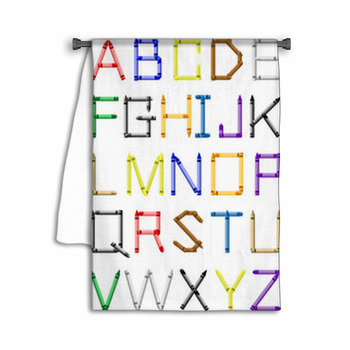 Choose your initials to display on a towel, and give everyone in your family one as well. 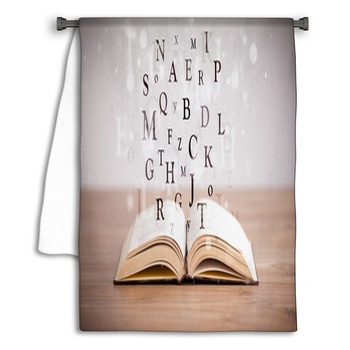 Personalization is the name of the alphabet game at VisionBedding. 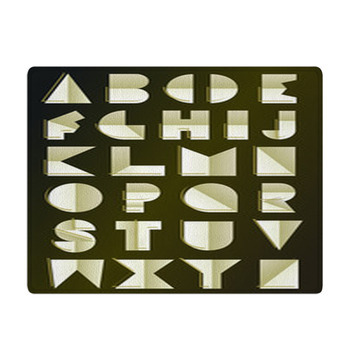 Alphabet bath decor items come in multicolored patterns of curving and diagonal lines. They can have a three-dimensional shape or a background of flames. 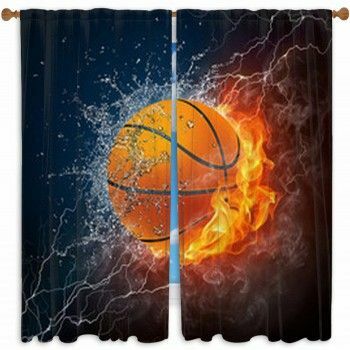 Put any of these images on your shower curtain. 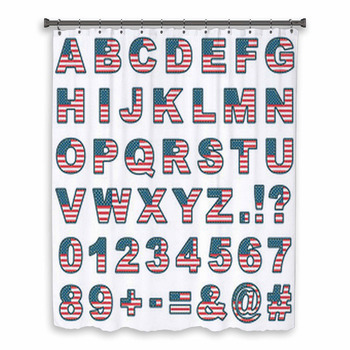 Bath mats, towels or even wall stickers are also available with this themed alphabet bath decor, so continue the theme and continue learning as soon as you step in your bathroom! 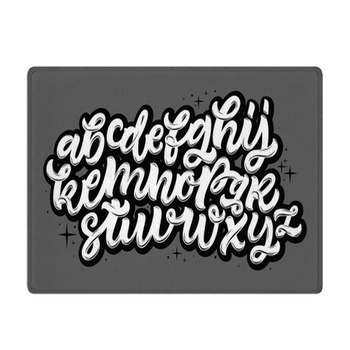 An alphabet themed bathroom could include a different style alphabet on each item. 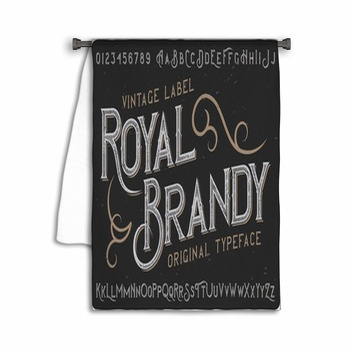 Or, perhaps you could include a selection of letters on each decor item so they add up to 26 total. 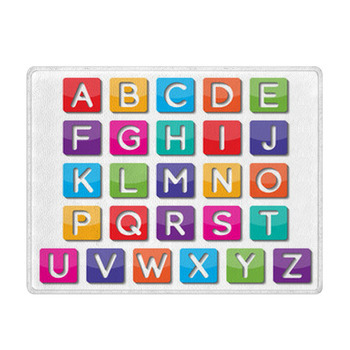 Make bath time an alphabet game with your chosen theme. 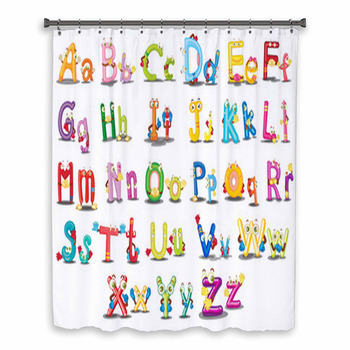 These alphabet bath decor items are perfect for children. 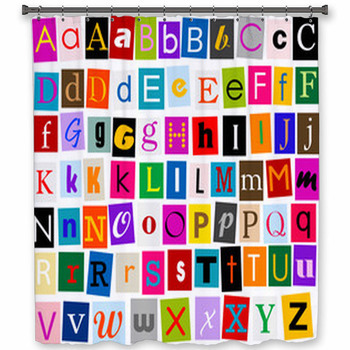 Choose a shower curtain with the alphabet, with the numbers zero through nine, or even with punctuation like exclamation points and question marks. 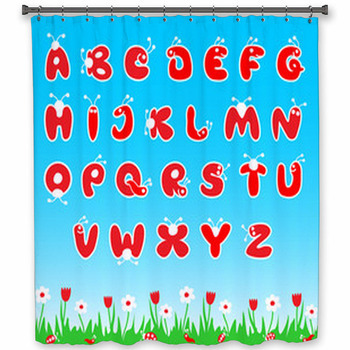 Any child's bathroom can become a learning space with VisionBedding's alphabet themes. Let learning into your home, and don't take it out with the bathwater!